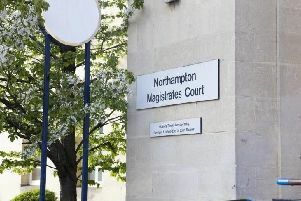 A 15-year-old girl was put into a headlock, turned around and punched in the stomach while out walking Northampton. A spokeman for Northamptonshire Police said, in a statement released on Thursday morning, the incident happened on Avon Drive in Kings Heath. “The victim was walking along Avon Drive, just across from the bus stop, heading towards Bourne Crescent, when a man approached her and grabbed her in a headlock. “The victim managed to turn around and the offender then kicked her in the stomach. “The victim managed to escape uninjured and run away,” he added. The incident happened on Monday, 7 November at about 9.30pm. The offender is described by police as a white man in his late thirties with short-brown hair. He wore a black coat, dark-blue jeans and dark-brown work boots. Anyone with information can contact Northamptonshire Police on 101. Alternatively, they can call the independent charity Crimestoppers anonymously on 0800 555 111.